If Jim Jarmusch were a type of music, which one would he be? Over the course of three decades as a filmmaker, he’s worked with a wide variety of musicians: John Lurie, Screamin’ Jay Hawkins, Joe Strummer, Tom Waits, Neil Young, Jack White and Meg White, GZA and RZA, and on and on. His own band, SQÜRL, plays droning avant-garde noise rock in a vaguely Boris vein. One musical genre Jarmusch decidedly does not embody, however, is punk—his sensibility is far too laid-back to express that sort of raw power. 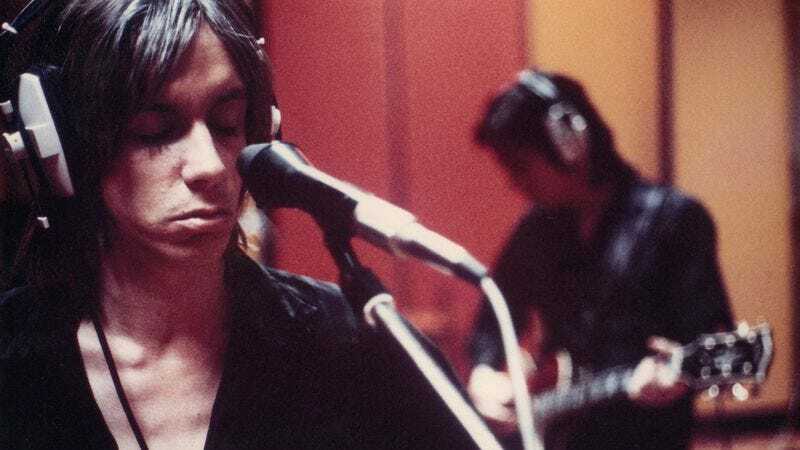 So while it’s not surprising that he’s chosen to make a documentary about Iggy Pop And The Stooges (Iggy having previously played small roles in Dead Man and Coffee And Cigarettes), viewers making the same demand as Gimme Danger’s title will likely be disappointed. Considering how cheerfully its subject courted controversy, this is a chummy, openly booster-ish profile, designed as an introduction for those ignorant of the Stooges’ legacy. It’s plenty entertaining, but it’s also nearly as tame as Iggy, in his prime, was wild. An unqualified fan (verging on fanboy), Jarmusch is entirely content to serve as head cheerleader here. His skill as a director livens up what’s generally a pretty straightforward rock doc; in order to avoid a monotonous rhythm of talking heads interspersed with archival footage, he repeatedly inserts clips from old movies as comic punctuation and throws in some animated interludes as well. But he’s not prone to delve, and longtime fans who are curious about such matters as, say, David Bowie’s notoriously treble-heavy mix of Raw Power (which the band despised) will be disappointed to find that they’re addressed only in passing, if at all. 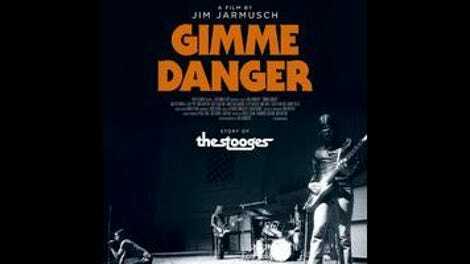 Had the Stooges not already been inducted into the Rock And Roll Hall Of Fame (in 2010), Gimme Danger could easily be mistaken as a feature-length argument that it’s high time they were selected. Those who know nothing about the band going in will be apt to assume that they’re far more obscure than they actually are. Jarmusch’s other 2016 movie, Paterson (coming in December), is a major work, one of his best. This amiable trifle—like his Neil Young doc, Year Of The Horse—will be a footnote.